The postponement of Boca’s clash against Gimnasia in La Plata sparked lurid claims. The credibility gap that surrounds local football provides the most fertile of breeding grounds for accusations of corruption and manipulation. From the deplorable standards of stadium safety to the mammoth debt levels that plague the bank balances of most clubs, Argentine football labours under the strain of countless problems. But one of the big challenges faced by the game is a different phenomenon, something ineffable: the credibility gap that provides the most fertile of breeding-grounds for accusations of corruption and manipulation. The effects of that lack of trust were neatly demonstrated this week, when Boca Juniors once more hit the headlines for matters unrelated to their performances on the pitch. Something as run of the mill as the raining off of a Superliga game suddenly became the basis of the latest conspiracy linking the league leaders to apparent control of the AFA and all within it. Sunday’s decision should barely have made a ripple. The weekend in Buenos Aires and its surrounding areas was hit by intense rainfall, with a whopping 105 millimetres falling solely in the 24 hours prior to Boca’s aborted clash against Gimnasia in La Plata. Referee Facundo Tello initially stated that the Gimnasia pitch was in decent condition, but as the minutes ticked by and the rain refused to let up he had a change of heart, opting instead to postpone the fixture for a later date. Tello’s decision should not have raised many eyebrows. 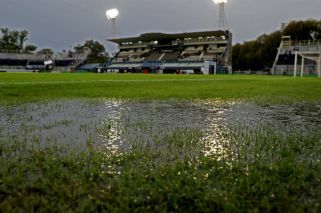 The deluge caused every fixture scheduled in the Greater Buenos Aires area to be cancelled, including Racing Club’s Superliga clash in Avellaneda which was shelved almost eight hours before kick-off when it became apparent there would be no respite from the inclement weather. But context is everything for the conspiracy fanatics: the previous day Godoy Cruz had cut Boca’s Superliga lead to three points and on Wednesday the Xeneize’s Copa Libertadores hopes were on the line in Colombia against Junior. Those facts, plus a meeting between Tello and the club captain ahead of his volte face, was enough for the tinfoil hat wearers to see the black hand of the ‘AFA Bostera’ peeping out from behind the curtain. The referee was even forced to come out and explain his completely logical decision in the midst of a media firestorm. “The amount of water increased from one inspection to the next,” he told Radio Mitre. “I would rather be criticised for calling it off than for starting the game and not being able to finish it.” Unfortunately a professional like Tello, working constantly to establish himself in the Superliga in his second full season directing matches in the top flight, his name is now linked with the supposed black arts of football. Behind all the smoke and mirrors and easy accusations that Argentine football is rotten to the core, there is a mundane truth. It is impossible to say that corruption and questionable acts do not exist, but they are hardly unique to the nation. Less than three years have passed since the very head of FIFA, Sepp Blatter, was forced to resign due to charges of wrongdoing, a storm that also washed away UEFA chief Michel Platini. Even in that famed paragon of virtue Germany, Uli Hoeneß, president of Bundesliga giants Bayern was not only jailed for tax evasion but was re-elected to the post once released from custody. There is no Argentine exceptionalism when it comes to football officials misbehaving, despite what more sensational commentators would let you believe. What is more troubling is the pride no few directors seem to take in showing off their cleverness and ability to bend the rules. Take Boca’s Juan Carlos Crespi, who appeared smirking and winking in the halls of Gimnasia’s stadium as the postponement decision was announced. Did Crespi have any bearing on Tello’s decision? It is doubtful. Does he revel in his popularly assigned role as a manipulator extraordinaire? It certainly seems so. 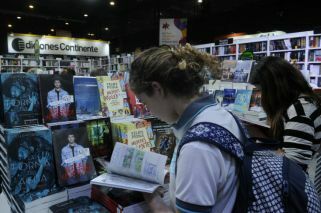 Chancers and con artists can be found across the sport, in any country. But only in Argentina are their antics celebrated as part of the famous trickster’s spirit that is handed down from generation to generation, that viveza criolla. At its worst, as in the scandalous 38-38 vote to decide AFA’s president back in 2014, such characters bring shame on the entire sport, helping to encourage paranoid thoughts of conspiracy and match-rigging. Football’s dodgy dealers must no longer be greeted with a knowing wink and complicity: the Crespis of this world should be condemned for the charlatans they are.